Wing | Where is @rusnivek? This resource is going to change my TCards again. I extend my sympathies for the loss of life in Tennessee following this morning’s Hospital Wing crash in Somerville (Fayette County) Tennessee. Initial reports show that no patients were onboard the Eurocopter AS350 during flight. Emergency crews on scene have reported 3 deaths including Hospital Wing Pilot Charles Smith, Pedi-Flite Nurse Carrie Barlow and Pedi-Flite Respiratory Therapist Denise Adams. Local and regional authorities are leading the investigation and recovery as well as providing assistance as needed. 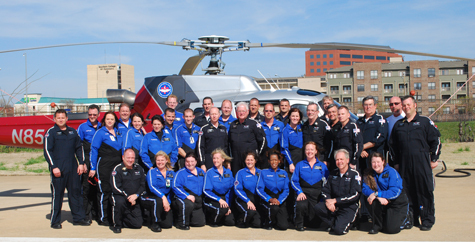 Numerous agencies have been in close contact with the Le Bonheur Children’s Hospital and Hospital Wing flight program and all stand ready to provide assistance as requested. I encourage everyone to support the fallen flight crew’s families and those who work with them in their time of need.